How does it feel to live in Vienna? What is the taste of the genuine Viennese “altbau” life? 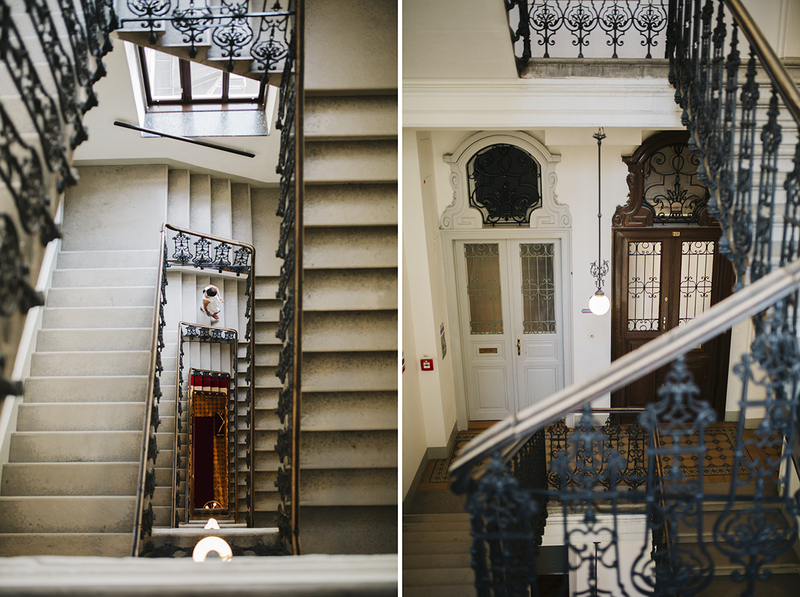 Life in a building constructed in 1902, gorgeous staircase, 4-meter ceilings and those beautiful tall windows and doors. Life with genuine neighbors, Viennese living next door. A stay at gorgeous boutique and heritage hotel Altstadt Vienna, makes you experience exactly this authentic, sophisticated Viennese lifestyle. And a lot more, for this hotel also displays a large, private art collection. Contemporary art works on the walls, antique furniture where breakfast is served, designer furniture is everywhere. There are even pieces of family legacy, such as a wooden baby cradle that actually belonged to the hotel owner. But probably the most remarkable about this hotel is that every room was designed by famous artists, designers and architects and each has a unique design. 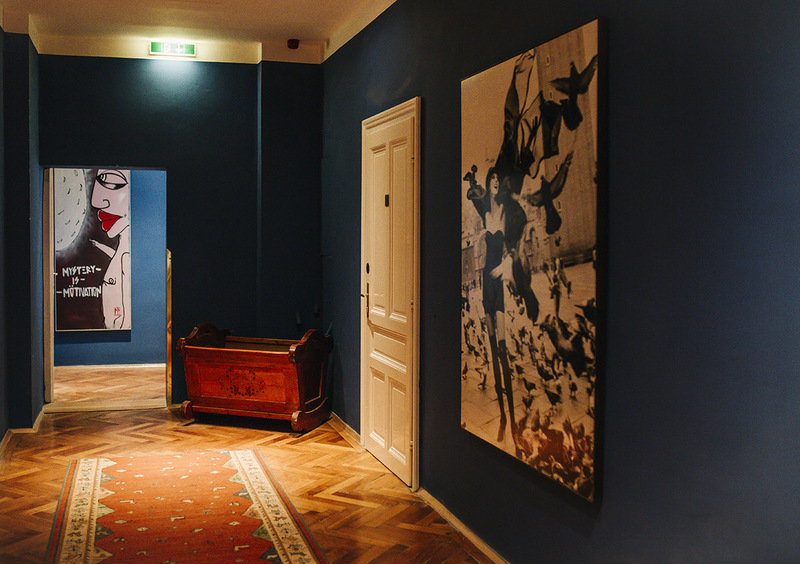 Each room tells a different story, that tributes to the cultural identity of Vienna. 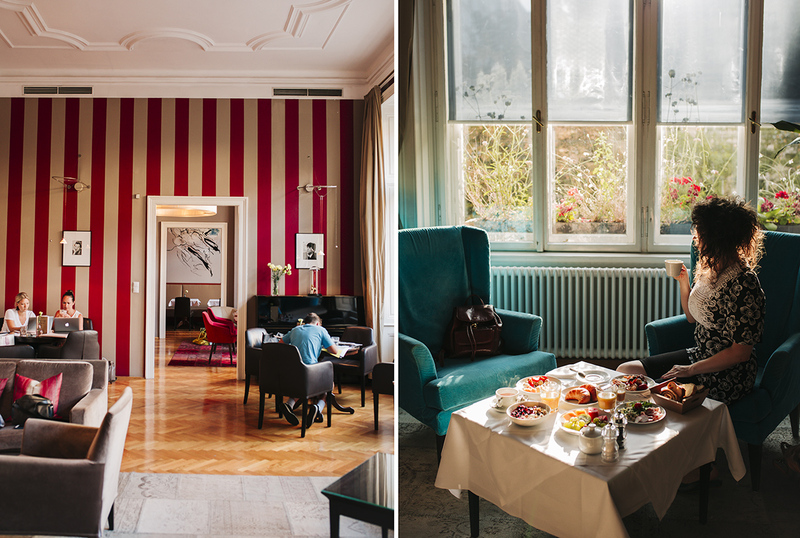 To name a few, there is a Library Suite, Viennese Modernism Suite in Joseph Hoffmann style, Chocolate Room, Polka Design room… There is even a suite designed by Lena Hoschek, one of the Austrian most well known fashion designers (and my personal favorite of them all). The history and present clash and create a unique, harmonic place such as Hotel Altstadt Vienna. It is a hotel and art gallery in one. 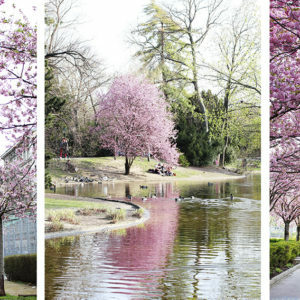 A true Vienna insider find that has to be shared with you dear readers. Especially with all of you that keep emailing or sending us messages asking for hotel tips at recommendations. This post is for all of you that are looking for authentic and special hotel experiences. For art souls. 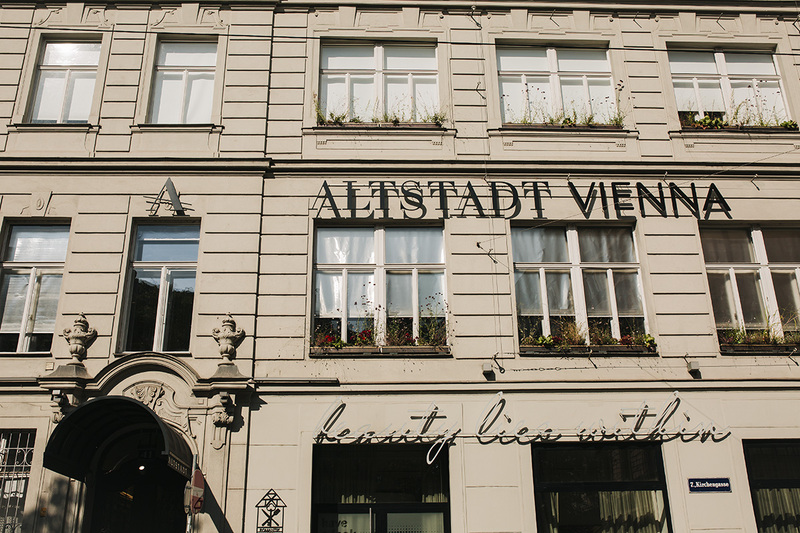 But also for you living in Vienna, since a part of hotel Altstadt Vienna is also available for the external guests! You can go have breakfast, work or have a business meeting in the gorgeous Salon inside the hotel. Insider news: a little bird told me that soon there will be guided tours through the designer rooms of hotel Altstadt Vienna! So stay tuned and follow their Instagram or Facebook to be the first to hear the news. – The most comfortable bed I probably ever slept in. Senka agrees too! 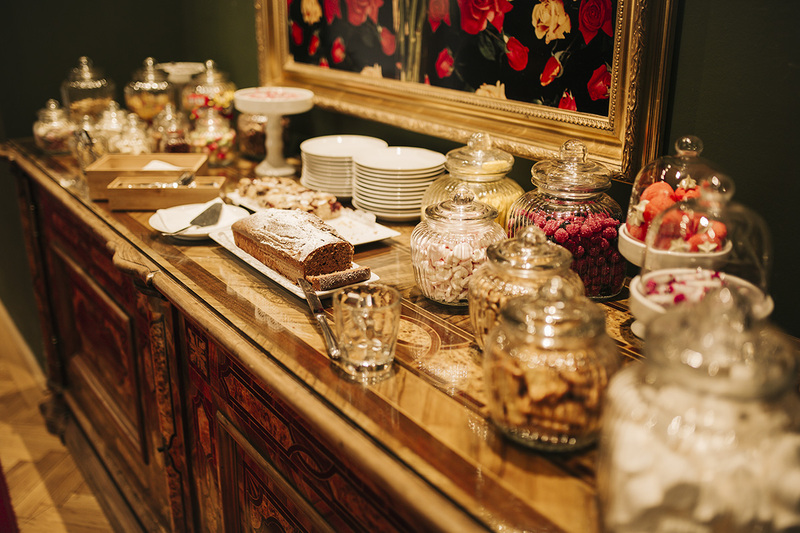 The breakfast at hotel Altstadt Vienna is continental style, served as a buffet. The selection is not too big, but all the ingredients are premium quality, very fresh, delicious and regional. Besides cold cuts, cheese, salads, fruits, cereals and co, you can also order warm egg dishes or porridge (the waiter brings them to you, freshly prepared). 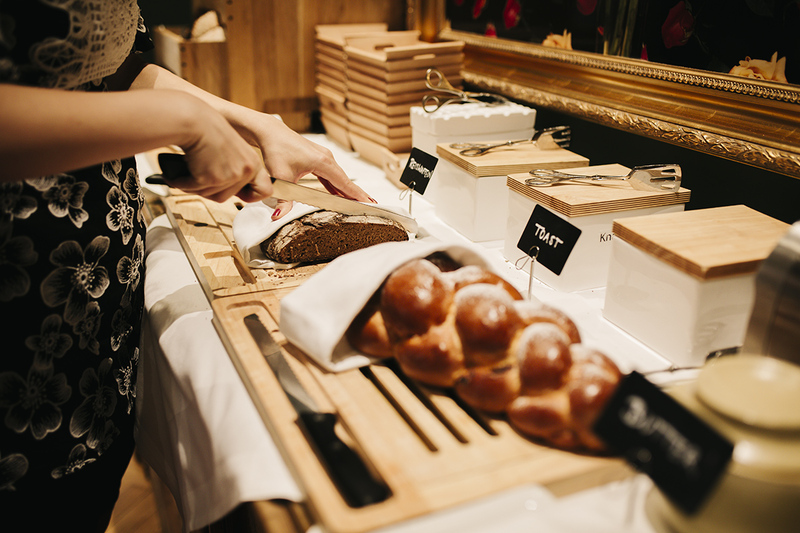 There is a large selection of bread, high quality tee sorts, great coffee and even champagne! 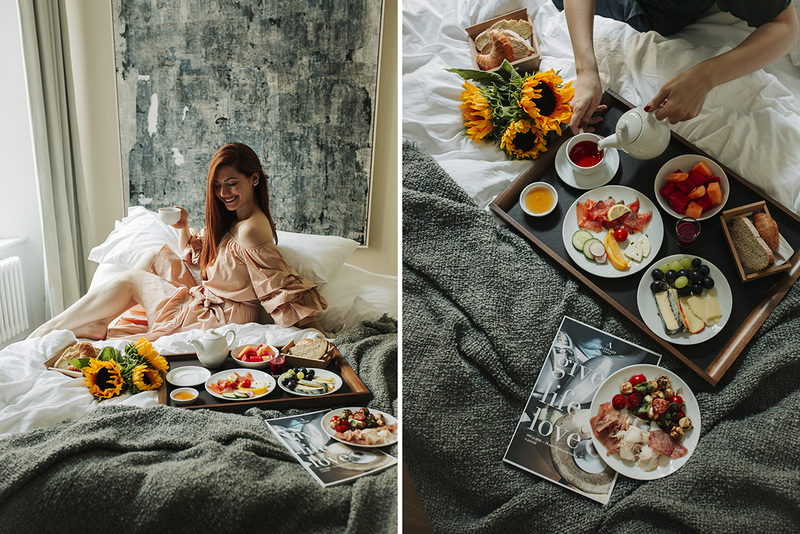 Everything I mentioned here is included in the breakfast, that you get if you book your stay, as well as if you come as an external guest. Another great thing is that breakfast is served on workdays until 11h and on the weekends until 11:30h! 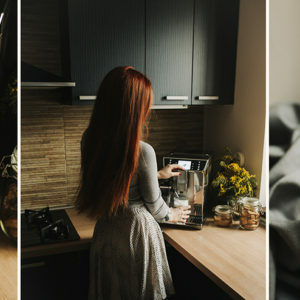 So if you like to lounge or sleep longer, you can properly relax, not be stress out to make it to breakfast. 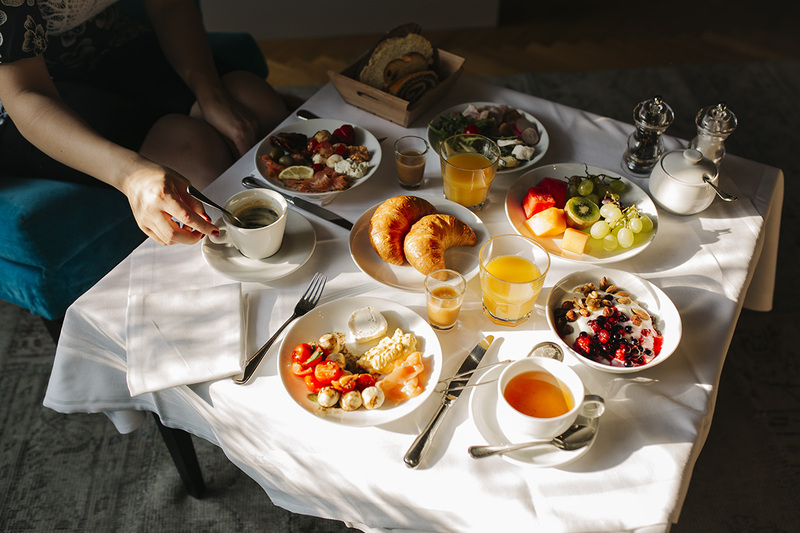 For external guests (if you are not staying at the hotel) the price of the breakfast is 25 Euros, which is in my mind very good price, especially having in mind the drinks are included. If you want to go have breakfast at the Salon, you can book your table at +4315226666. In general I loved the atmosphere and the design of the Salon. 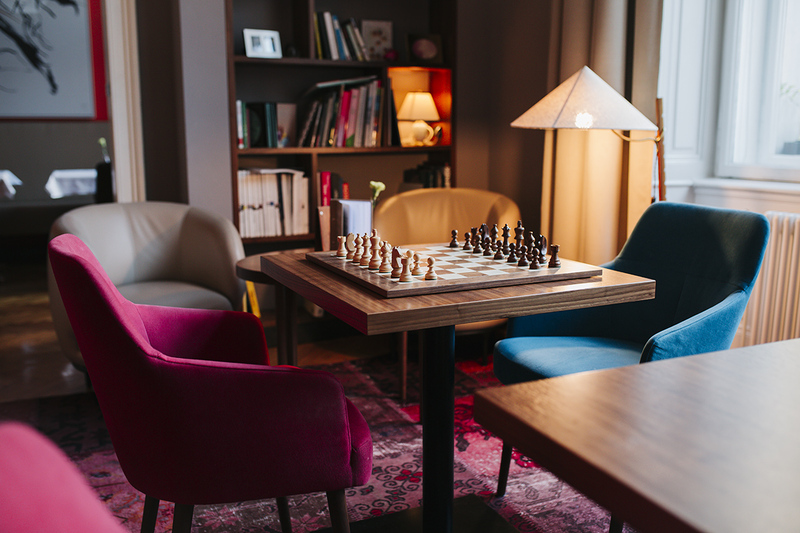 And the other guests did too, I would meet them playing chess, reading, sipping coffee or working. It was a very nice feeling, sitting in this peaceful and beautiful space. I hope you won’t mind me being biased here, but I am a huge fan of the 7th district, in which hotel Altstadt Vienna is located. I love it since it is so full of life. You will find anything from dining, shopping and culture right around the corner from the hotel! There are little shops and restaurants everywhere, it is not touristy, has cobbled streets and beautiful architecture. 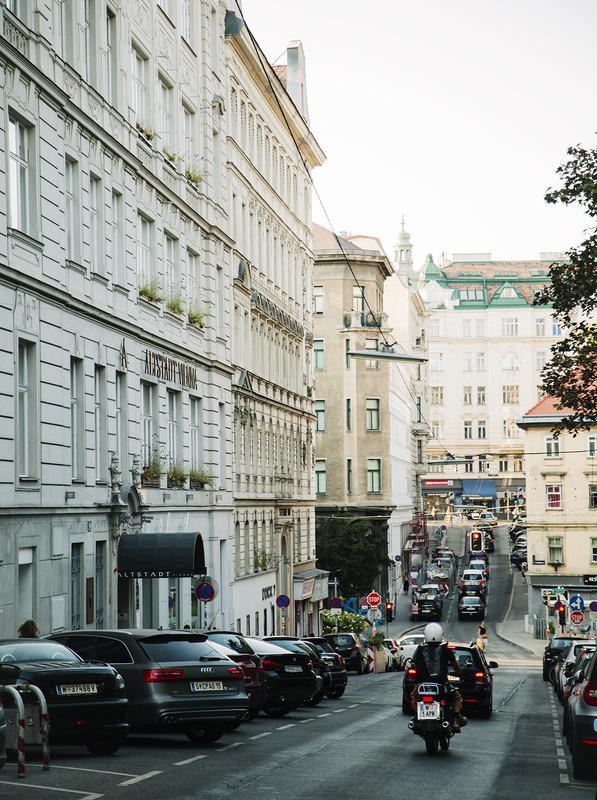 Walking from the hotel you will need less than 10 minutes to reach the historic center of Vienna. 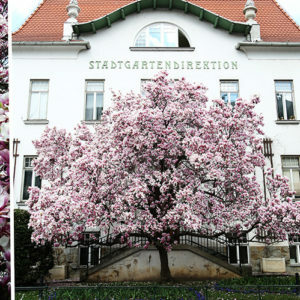 As soon as you step out of the hotel, you will find yourself at beautiful St.Ulrich square, that has some of the most photogenic cafes in the whole city. I already blogged about them here. Also really close are restaurants specializing in any cuisine from Japanese, Georgian, Austrian, International, vegan, anything! If you like shopping, especially for more unique stuff, antique, vintage and concept shops, you will find them all around Burggasse and streets nearby (basically this is just 1 min away from the hotel). And a cultural bonus – the Museums Quartier (in case you have never been to Vienna before – a big square surrounded by several art museums that you got to visit such as Mumok and Leopold museum) is 3 min away. I would especially recommend you not to miss this square later in the evening, as there is always something going on there. One last thing – if you visit Vienna in Xmas time 5 minutes away from hotel Altstadt Vienna you will find the most charming and favorite by locals Xmas market at Spittelberg! It will be there from roughly second week of November until Xmas day. As someone crazy about all things insider and local I really cannot imagine a better location for a hotel than this! It just has it all and you don’t need to use metro or any other transportation at all. Everything is manageable on foot. Before I conclude this post, I would like to share with you a useful tip – book your room directly through hotel website! Hotel Altstadt Vienna has a great booking system, that is quick and easy to use and also they guarantee you the best deals! So I really encourage you, in case you decide to book a stay at Hotel Altstadt Vienna to do it via their website. Or if you prefer their team to help you pick the room that will best match your individual preferences, you can inquire and book through a phone call. Just dial +43-1-5226666. 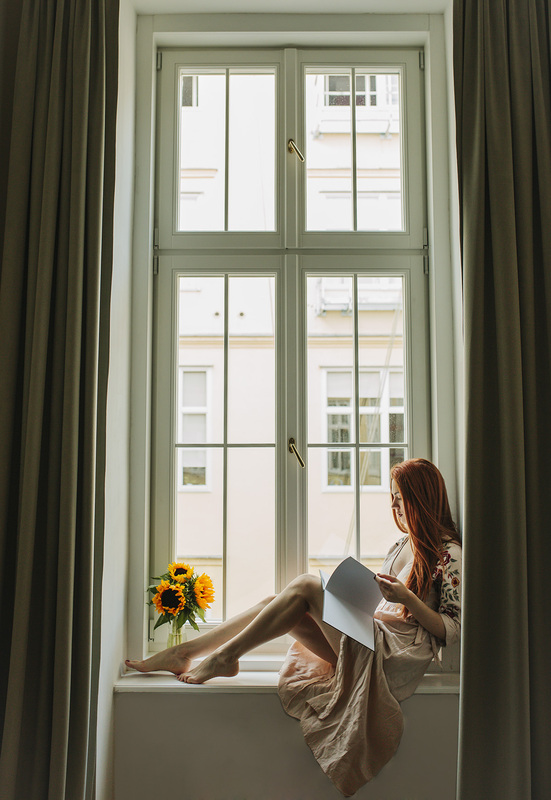 I hope that you enjoyed reading this post and that I managed to pass on to you through text and pictures, the beautiful feeling and positive vibe that I felt while staying at Hotel Altstadt Vienna. 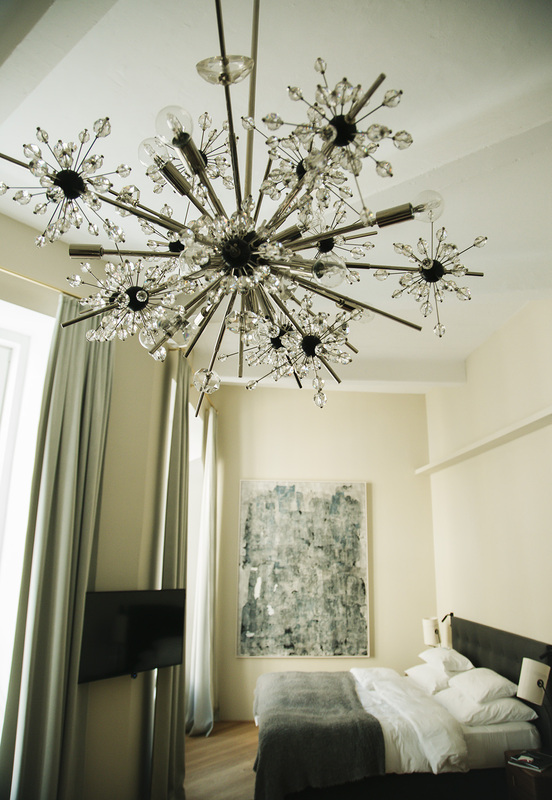 This is a hotel that radiates art, creativity, dedication and love behind each detail and every unique room in it. 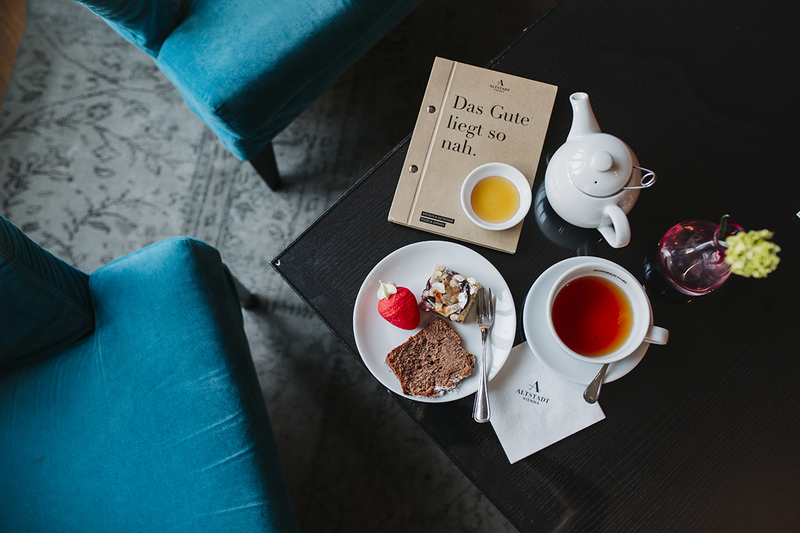 It is impossible not to get inspired and fully enjoy a stay at this hotel that cherishes the true spirit of Vienna. 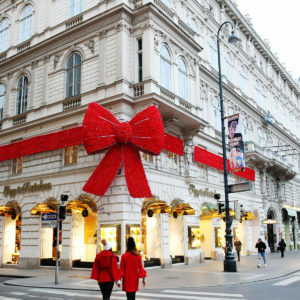 For this reason, I am so happy to recommend it here to all of you dear Vienna Insider readers! 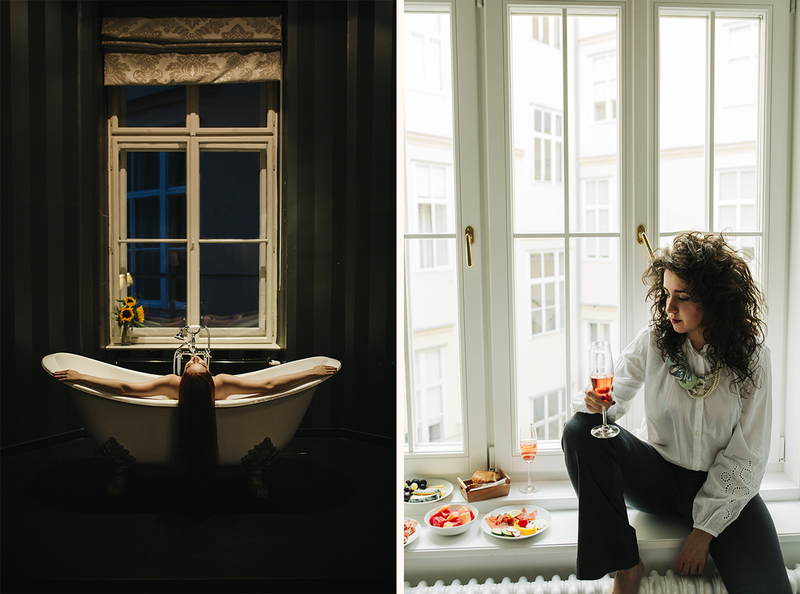 I would like to thank the Hotel Altstadt Vienna team for making me and my dearest Senka, feel so welcome, letting us explore other the rooms, for their patience and understanding of our creative lust. 🙂 Art is not visible merely in the design of this gorgeous hotel, it is also felt in the hospitality and passion of the entire team. This stay made Senka’s and mine friendship richer for one more wonderful memory and creative adventure. 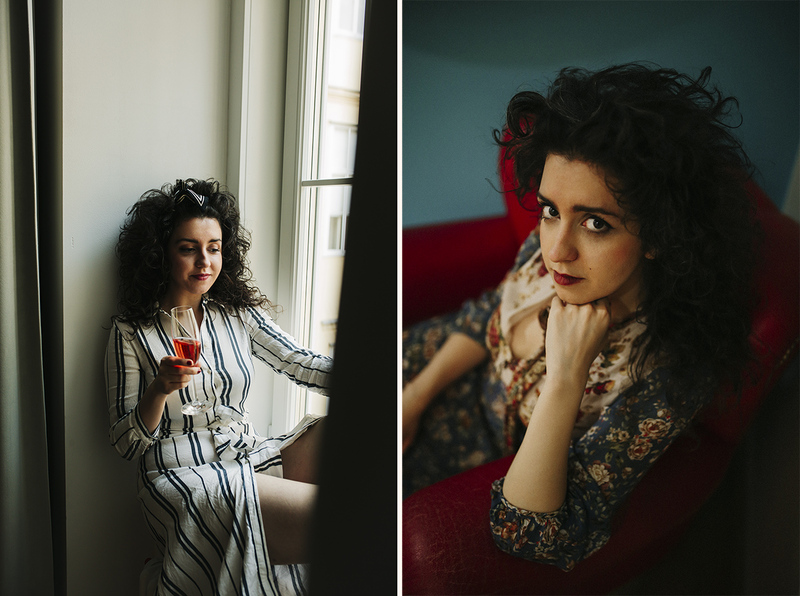 Thank you my dearest Senka for all the modeling, for being our fashion stylist, and for snapping all these beautiful pictures of me. And thank you dear readers for stopping by! 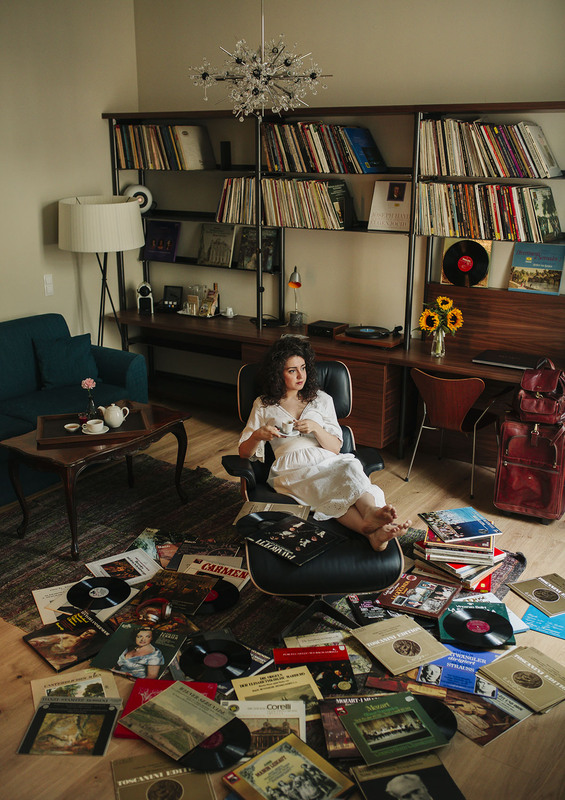 Three ways on how to pose in an iconic chair. xD And by the way, no vinyls were harmed in this creative feat. 😀 It took us a long time though to make the mess and bring them back. Do not try this at home. 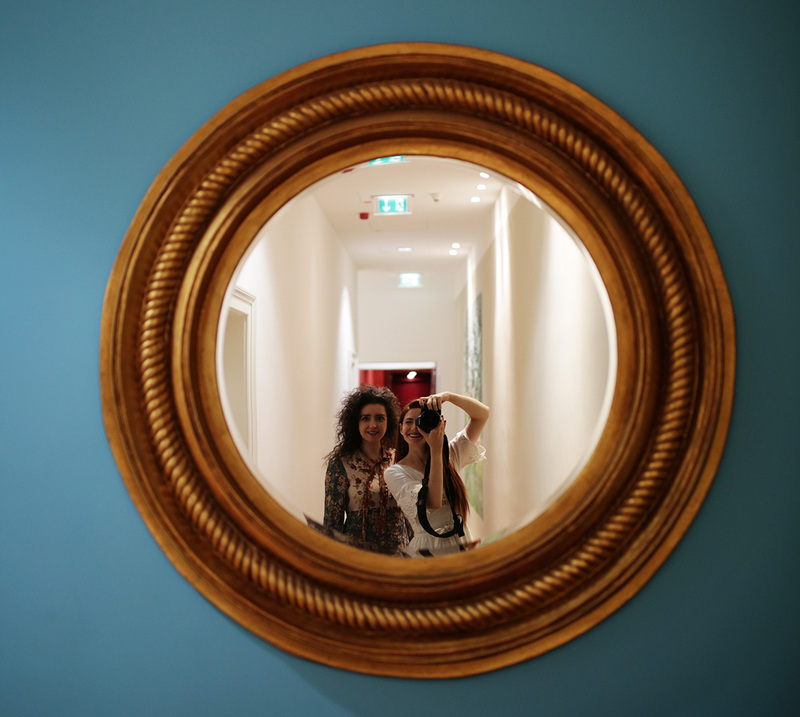 This post was done in collaboration with Hotel Altstadt Vienna. Study in Vienna: Life in a dorm or a shared flat? In loooove with this place!!! Sve fotke su toliko dobre!! Ne zna se koja je bolje! Ali, one sa pločama su mi izuzetno kul!! Nice suite. But unless you are a big fan of Opera, consider the other suites in the Altstadt. 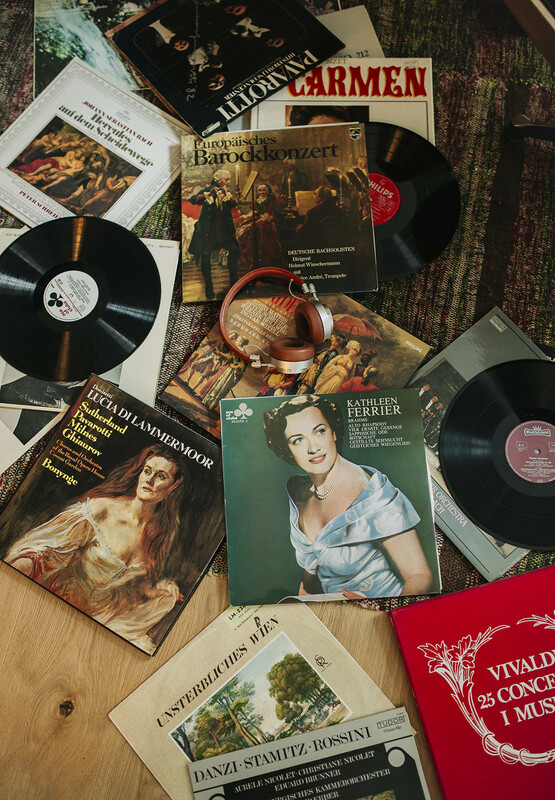 After all, you’re not coming to Vienna to spend all your time in your room….? Thanks for your common-sense reply. How is the stereo system in that Opera Suite? Will the neighbours in the adjacent suite hear the music at night? I booked it for April! (-: smile. My 4th stay at VA.